The grass is always greener on the other side. Right? No. The way I look at it, you can stare at the neighbor’s lawn longingly or you can tend to your own damn lawn. Unfortunately, many of us have a brain that is conditioned to think negatively. We do this by comparing to others and focusing on what is missing or what we are doing wrong. This then extends into a negative self-belief that something is inherently wrong with us. All of this does not, and CANNOT equate to happiness. So, why do we think like this? Our brain is wired for survival, not necessarily for feeling good. But our brains are still evolving and it’s up to us to decide that happiness is a dominant trait that we’d like to keep passing along. This survival mind is actually a mindset of lack. What is missing? What do I need? Where is there not enough and how can I find more? The idea is that this will keep us motivated to search for resources and opportunities. It’s important to understand that this system was built for physical survival needs – mainly food, shelter, and reproductive options. Today’s world looks much different, but this system still gets applied to our everyday thoughts, emotions, and behaviors around daily things that are less dire than physical survival. Always feeling that we are not enough or don’t have enough actually leaves us feeling drained and unmotivated in our current modern environments. You actually have more control over how you see things than you think and a choice about which lenses you are looking through. Enter our rational brain – or neocortex. This is actually the youngest part of our brain, evolutionarily speaking. But we can use it to combat those lower brain alarms about survival. Assuming that you are living a fairly average life and have your basic survival needs met – i.e. 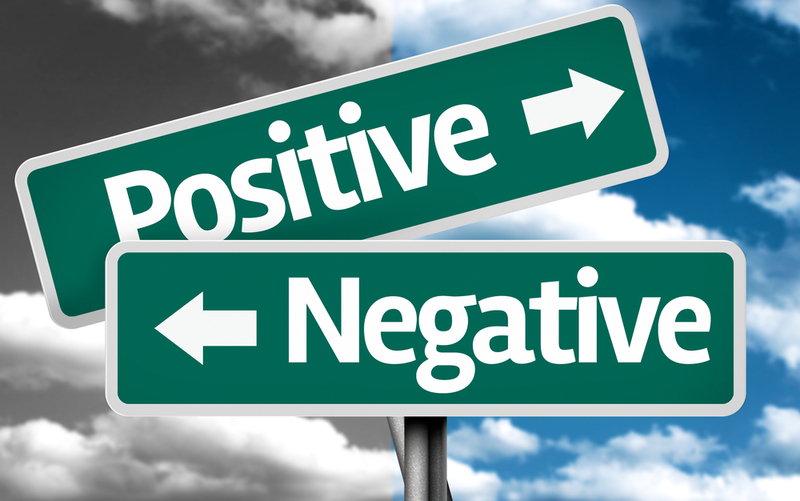 You have access to food and shelter and feel relatively safe – chances are you don’t need this negative thinking system. At this point, once we are surviving, we can move into thriving – which involves feeling good and content. We can change the mindset and turn up the volume on the positive voice that ensures us that not only do we have enough to survive, we are allowed to enjoy it. I like to think of our neural networks as highways in the brain. The brain loves repetition and reinforcement. Therefore, this takes practice! Our brains didn’t evolve like this overnight, and our lawn is not going to magically grow and stay neatly trimmed without some maintenance. Back to those highways – have you ever had the experience of taking the same route to work every day and then unconsciously, on a day you’re not supposed to go to work, you get off at that exit before realizing, “Wait I don’t need to go this way today!” Our brains like routine – and the routines that are practiced more, happen more automatically. Neural networks that get used a lot fire quicker and more automatically, while the neural highways that don’t get used actually die off. If that negative thinking highway is a well-used neural network, your brain is going to automatically go in that direction. It takes some effort and practice to stop and reroute it. Using our rational brains, we can create awareness over when we’re riding the negative thinking highway and CHOOSE a different direction. But we have to build the positive highways in our brains and do routine maintenance work. Just start to pay attention to yourself and see when you are thinking negatively or acting from a mindset of lacking. State your emotions without judgement. Become aware of your language. “It’s new, unfamiliar, different, etc.”Believe change is possible and speak that way. This may seem cliché but it works. Take time to notice what you DO have and what IS going right. This can be done in a gratitude journal – writing 3 things you are grateful for each day. Or a gratitude box or jar where you write a post it note of one good thing that happened each day. At the end of the year, you can you open it up and remember all the fabulous moments in that year.Remember, gratitude can be found in even the smallest moments. Maybe you’re having a tough day at work but the sun is shining, or someone smiled at you or your coffee was comforting that morning. OR you’re just glad to be home and to have made it through such a tough day. Find the tiniest bit of light, it may feel insignificant at the time but this is about training your brain to not only see the negative. If someone gives you any type of compliment, look them in the eye and say. “Thank you” and try to take it in without deflecting or negating it. This is simple, but it will be challenging and uncomfortable at first – it’s also a practice! Surround yourself with positive messaging. Create your own and experiment with them! Again, language is important here. These should be present and affirmative statements. “I want to be loved.” Or “I hope to learn” are NOT positive statements because they imply that something is still lacking or you are not there yet. Even if you are not there yet, and you don’t believe any of the positive things to be true, that’s ok! There is still value in taking in these messages. You’ve all heard the phrase, “fake it ‘til you make it”, right? Well, what this is really about is “fake it ‘til your brain makes a new highway.” The more you practice feeling good, the more that good feeling state becomes your automatic way of thinking.